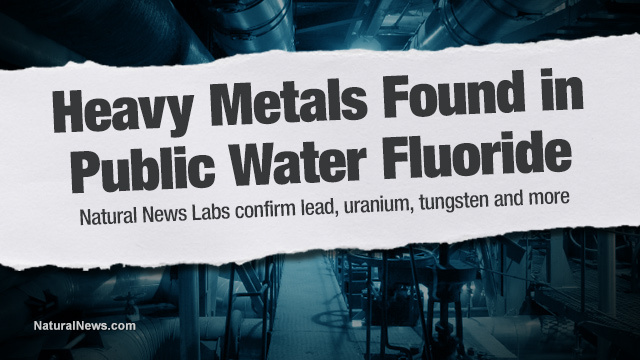 The sodium fluoride added to U.S. water supplies is contaminated with the toxic elements lead, tungsten and aluminum, a Natural News Forensic Food Labs investigation has revealed. Strontium and uranium were also found in substantial quantities in some samples, raising additional questions about the purity of industrial fluoride used for water fluoridation. To conduct the research, Natural News acquired "pure" sodium fluoride from six chemical manufacturers in China who export fluoride for use in municipal water supplies and other industrial applications (such as pesticides). We also know that U.S. cities which foolishly engage in water fluoridation almost never test their raw materials for heavy metals contamination. After all, there is no law against dumping toxic heavy metals into public water supplies as long as the bags of powder are labeled "sodium fluoride." While the EPA does require municipal water suppliers to test their water for overall heavy metals concentrations, in reality the samples acquired for this testing are often acquired upstream from the fluoride insertion point, thereby excluding the fluoride contaminants from the tests. Fluoride advocates have always used dishonest language to try to deceive the public about fluoride. I remember seeing an advertisement from a pro-fluoride city which claimed, "Fluoride is a naturally occurring mineral. 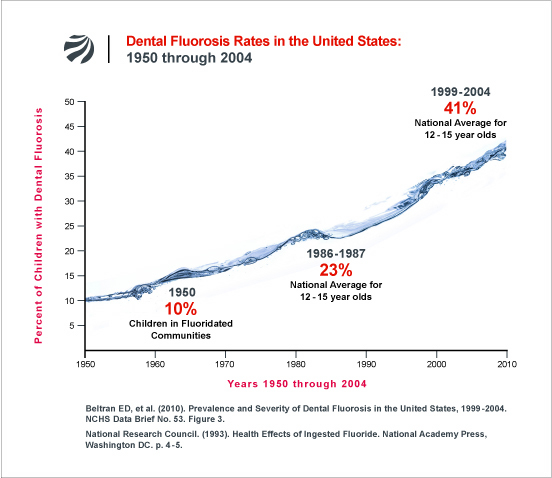 Water fluoridation simply restores the natural level of that mineral in the water to protect public health." Such a claim, we all know, is blatantly false in both its literal wording and its implied claim. 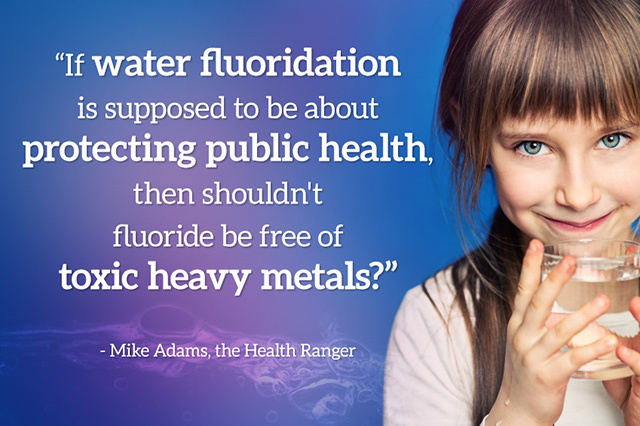 The other dirty little secret of the fluoridation industry, we now know for certain, is that when fluoride proponents say children need to drink "fluoride," they never mention the lead, tungsten, uranium, aluminum, strontium and other elements found in common fluoridation chemicals.